Montreal Canadiens fans have two choices in the wake of the Washington Capitals’ Stanley Cup win. They can lament the fact that two former Habs, Lars Eller and Devante Smith-Pelly, played critical roles for the Caps along the way, including in the Cup-clinching Game 5 victory… or they can just be happy for them. It’s an easy decision, especially in Smith-Pelly’s case, even after he scored 7 goals during the 24-game run (24 goals over 82 games). After all, this is a guy who had to sign a two-way deal with the Capitals just to be considered for a roster spot. Granted, Smith-Pelly getting hot over short spurts shouldn’t be a total surprise. He had scored 5 in 12 games with the Anaheim Ducks in the 2013-14 playoffs before being traded to the Habs for Jiri Sekac. Then, immediately upon getting traded to the New Jersey Devils for Stefan Matteau, after parts of two snake-bitten seasons with the Habs, Smith-Pelly scored 8 in 18 games. So, in a way, it’s easy to chalk this up as one more miscue by Canadiens general manager Marc Bergevin. However, Smith-Pelly had been given ample opportunities to replicate the offensive success he showed during those spurts with each team on which he’s played. That includes the Habs. Smith-Pelly squandered them all. 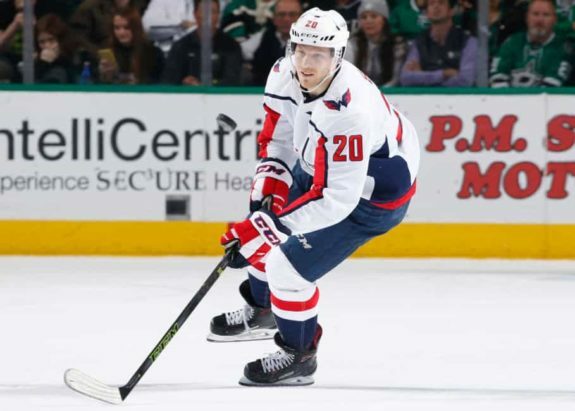 Hell, he had just as many goals with the Caps these past playoffs as he did in 75 games during the regular season with them. That doesn’t sound like someone over whom Habs fans should be feeling seller’s remorse. Even if Matteau has yet to do anything in the NHL (and likely won’t, now as a member of the Las Vegas Golden Knights), it’s not like the Habs could have realistically gotten more in exchange. So, why dwell on the past, especially when it’s revisionist history designed to make fans feel worse over their current situation? 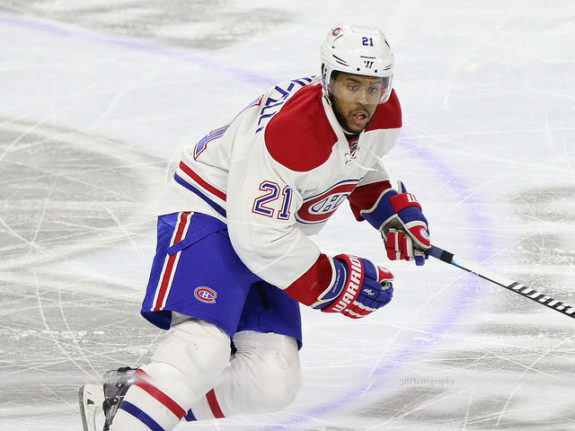 Smith-Pelly was unlikely to find any lasting success with the Habs and, all due respect to him and his accomplishments over the last few months, he’s unlikely to find it now. From a goal-scoring perspective, he has more in common with Rene Bourque than Alex Ovechkin, with Bourque having scored 8 (instead of Smith-Pelly’s 7) in 17 playoff games with the Habs in 2013-14. Now, does anyone regret the Habs trading away Bourque when, between him and Smith-Pelly, he’s the one who actually got to enjoy some measure of goal-scoring success in Montreal? No, and no one should. Of course, in the case of Eller, it’s a slightly different story. Misused time and again with the Habs, Eller has his critics, who like to point out how he never scored more than 30 points with the Canadiens in any one season. They conveniently choose to forget those 30 points came during the lockout-shortened 2013 season and they would equate to over 50 in an 82-game campaign. 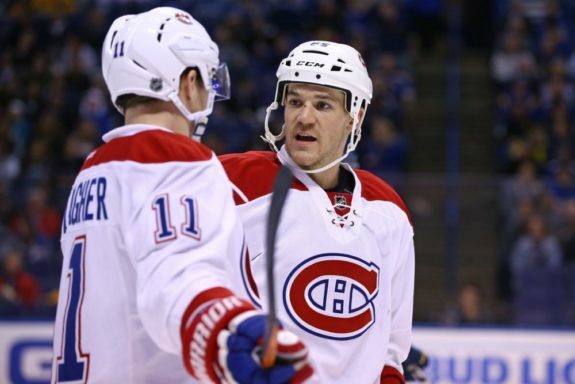 So, everyone knew what Eller was capable of, including Bergevin. That Bergevin effectively traded a middle-six center he could now desperately use for an agitator who primarily plays the wing in Andrew Shaw is harder to justify. Still, Shaw brought with him a similar reputation of being a playoff performer to Montreal. And, considering Brendan Gallagher’s offensive resurgence, the thought process to bring in another pest of his ilk, flawed as it may be, is understandable (even if signing Shaw to a richer contract isn’t). 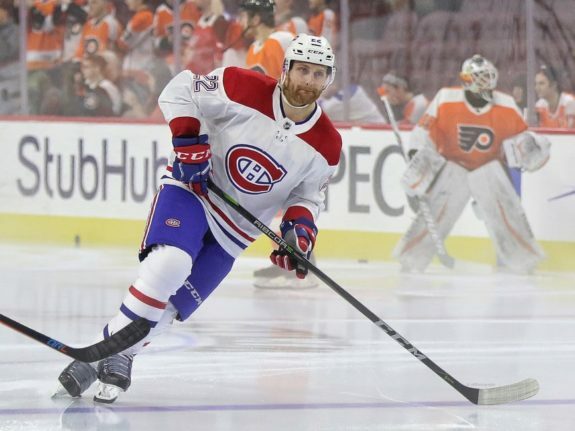 Maybe the bigger indictment of Bergevin’s decision-making is how the Capitals finally made it out of the second round without Karl Alzner, his big free-agent acquisition from last summer. It’s almost as if the Caps recognized it would be stupid to pay huge money to a guy who had tumbled down their depth chart to the point he was only getting the seventh-most ice time among their d-men during the 2017 playoffs. And it’s true, the 5-year, $23.125 million deal Alzner signed is one more notch on Bergevin’s belt that will only tighten the noose around the team’s salary cap maneuverability down the road. But remember: The Caps also had to trade Marcus Johansson for picks last summer, and they were undeniably stronger on paper with him in the line-up. Going down this rabbit hole far enough will drive you crazy. I mean, are the Canadiens so bad that the Golden Knights didn’t even want their Habs selection from the NHL Expansion Draft last year, trading Alexei Emelin away to the Nashville Predators? And then went on to the Stanley Cup Final in their inaugural season without a single ex-representative from the Habs playing a contributing role? I mean probably, but, for another example, because Eller and Smith-Pelly won the Stanley Cup, does that mean together they are more valuable than P.K. Subban? With Subban of course only managing to reach the Stanley Cup Final before losing to the Pittsburgh Penguins? Of course not. Ultimately, Subban reaching the Final the year immediately after being traded should be far more embarrassing to Bergevin for a number of reasons. 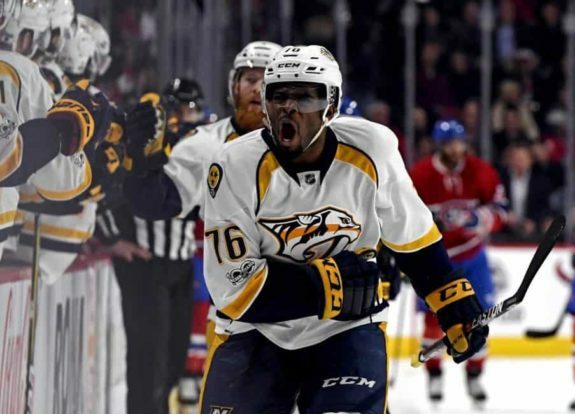 His role with the Predators both last playoffs and this season, after which he was nominated for the James Norris Memorial Trophy, was far larger than that of either one of Eller and Smith-Pelly with the Caps. Where fans should find the silver lining in this messy situation is in how this is very much a copycat league, and Bergevin has no choice but to look at the Caps’ strength down the middle (Evgeny Kuznetsov, Nicklas Backstrom… and then Eller) and realize the likes of Jonathan Drouin won’t do. Granted, everyone said the same thing about the defense last year following the Predators’ run. Everyone except Bergevin. He instead said his patchwork defense was better than it was in 2016-17 after he dismantled the entire left side. So, who knows? What is clear however is fans feeling regretful over past moves they had no control over to begin with won’t change the past. The best they can hope for is that Bergevin privately acknowledges to himself he’s made mistakes. That and hope for bright futures to both Eller and Smith-Pelly.